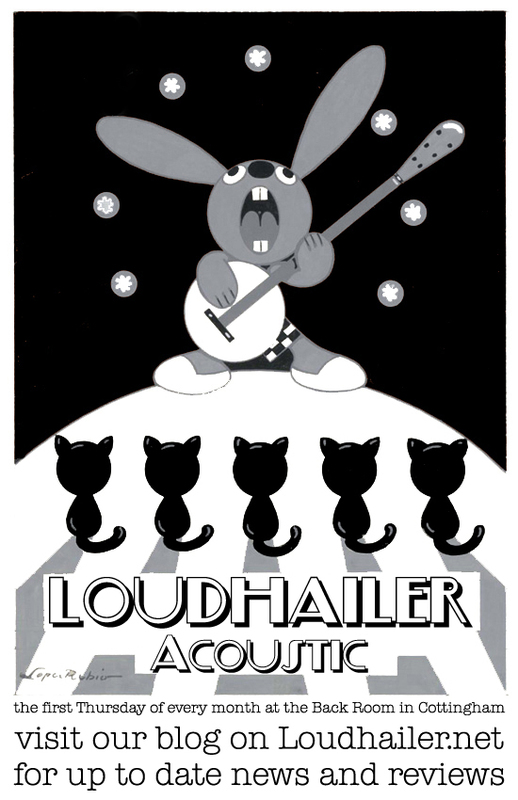 All welcome to Loudhailer Acoustic! Come for a top night out at Loudhailer Acoustic – you can listen to a fabulous range of acoustic music, quality songwriting and some familiar classics from a host of different performers. Loudhailer Acoustic is at The Back Room in Cottingham on the first Thursday of every month. Doors 7.00 pm music at 7.30 £2 entry. Loudhailer Acoustic at The Back Room is a friendly welcoming all acoustic open mic night of acoustic music and the odd poet, with the usual Loudhailer vibe and great attentive audience. We are delighted to be at The Back Room – a top live music venue, designed and built by musicians, with superb acoustics, and a great philosophy. It’s always a top night, all welcome to come and listen to the music. If you would like to come and play two or three songs please contact us to let us know – it’s always great to see new and familiar faces. 2014 dates: Thursday December 4th – note the new new times – Doors 7 pm , music at 7.30 pm, with a slightly earlier finish time of 10.30 pm, so we have time for a beer and a chat at the end. 2015 dates: Thursdays Jan 1st (Yes, there will be a session on New Year’s Day! ), Feb 5th, March 5th, April 2nd, May 7th, June 4th, July 2nd, Aug 6th , Sept 3rd, October 1st, November 5th (tbc) December 3rd etc. We’ve been hosting monthly acoustic evenings in the area since 2010 – click here for reviews and photos of past Loudhailer Acoustic nights. Previous Post Loudhailer acoustic evenings have a new home!